shows the entire payment process. Having problems claiming payments? 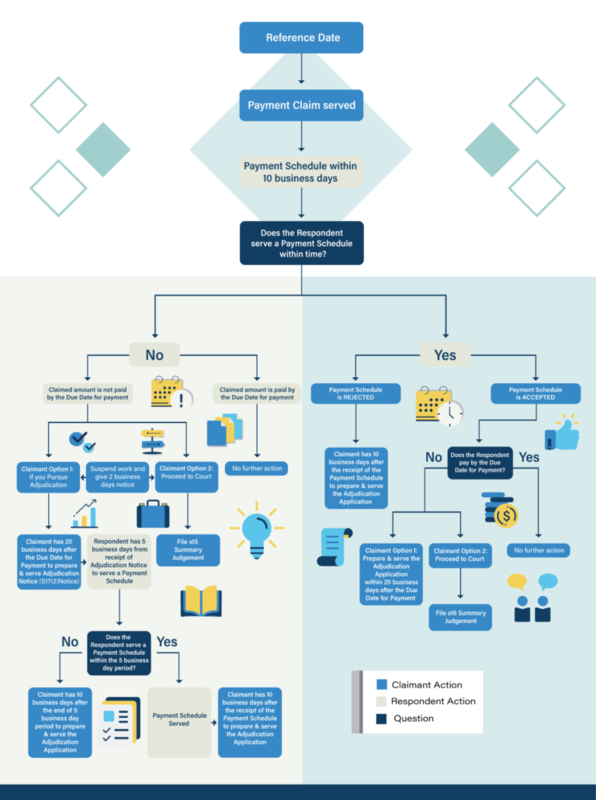 You can get paid faster for building work and construction materials you’ve supplied by following this Security of Payment NSW flowchart. No contract, means no claim! Consult with Contract Specialists to discuss how you can claim the money that is rightfully yours. Who is the Claimant and the Respondent? Let’s start by identifying the basics. For every payment transaction, there is always a claimant and a respondent. The claimant is the person who initiates the payment claim. In other words, he demands money for either services or products he has delivered. The usual claimants are contractors, subcontractors, construction suppliers, consultants, and others. 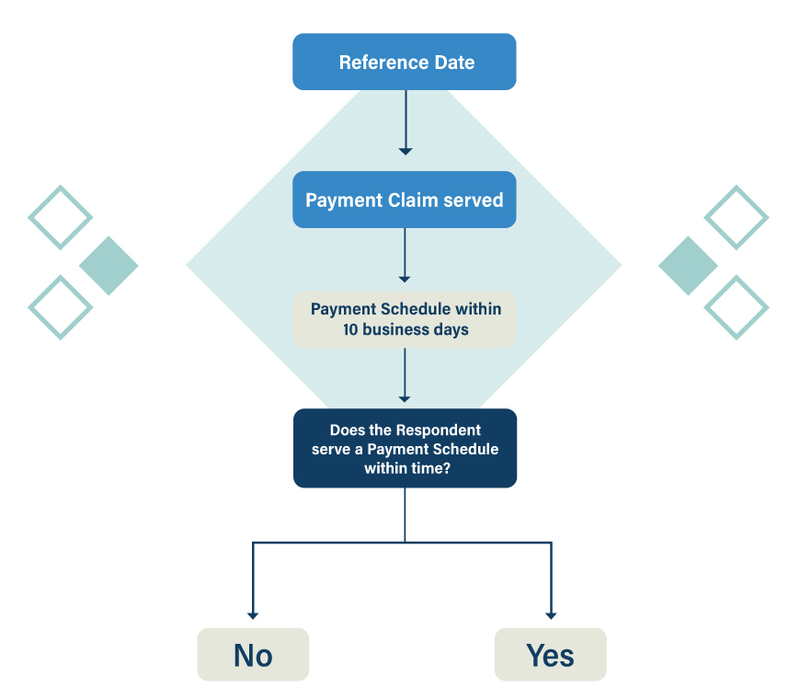 – Payment Claim– is a document that identifies construction work or related goods and services. It also indicates the amount of the progress payment. On the other hand, the homeowners is the respondent or the person who should serve a payment schedule and pay the corresponding invoice. – Payment Schedule (or schedule of payments) is a list of dates when payments will be made by one party to another under the terms of the contract between them. 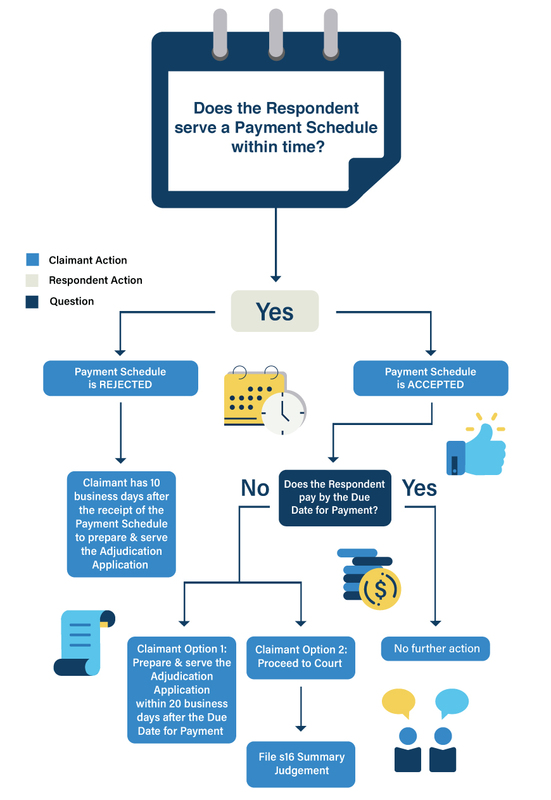 Below is the step-by-step guide to processing your payment claim. There are multiple options for the claimant’s part based on the response of the respondent. Before you can serve a payment claim, the first thing to identify is the ‘reference date’. It is the date intended for making progress claims as stated in the contract. If there is no reference date specified, then it should be the last day of each month. 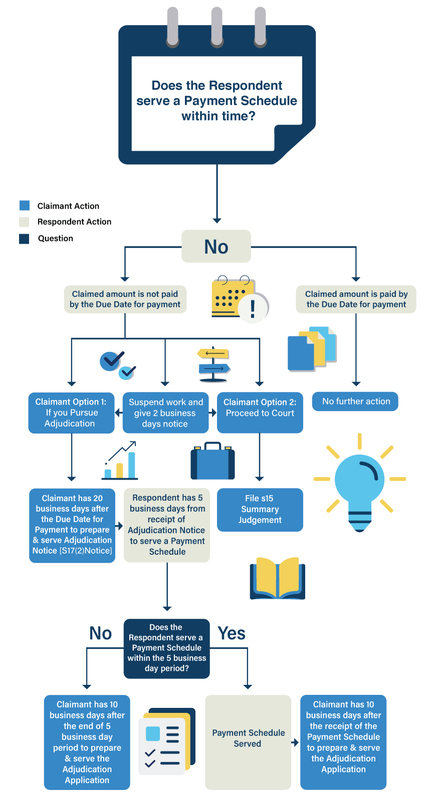 When the payment claim has already been served by the claimant, the respondent’s response is the payment schedule. This should be prepared and served within 10 business days after receipt of the payment claim. 1. The payment schedule is accepted by the claimant. When this happens, then he should just wait for the due date for payment. Quick Tip: If respondent does not pay by the due date for payment, we try to prevent the worsening of the situation rather than immediately proceeding to court. Adjudication is the easiest way to settle a dispute and it is a cheaper alternative to court action. 2. The payment schedule is rejected by the claimant. When this happens, then he can apply for adjudication. Quick Tip: Adjudication is a fast and informal process formed by the New South Wales Government with the main goal of keeping the money flowing in the building and construction industry. 1. The claimed amount is PAID by the due date for payment. Quick Tip: Yes! Your money is already in your hands by this time. You will no longer have to chase the respondent. 2. The claimed amount is NOT PAID by the due date for payment. Quick Tip: You better choose the first two options before taking a court action. Contracts Specialist’s Principal Lawyer, John Dela Cruz, can further explain your legal options for your situation. If you’re having payment issues, call us now.